Tail WAGS & WHISKER licks to you this Wednesday. I LOVE to read. I am late to boot up my computer and post this because I was reading, and I am happy to report there are no shortage of dog books out there. Lately I have been reading lots and LOTS of them. (This blog has a lot to do with that.) It also has something to do with the fact that I spend about ten of my waking hours exclusively in the company of dogs, and gosh-darn-it, I want to know more about them! The more about them I know, the better I can communicate with them. The better I can communicate with them, the happier we all will be! That being said – this week’s Wags & Whiskers Wednesday is dedicated to the nose. 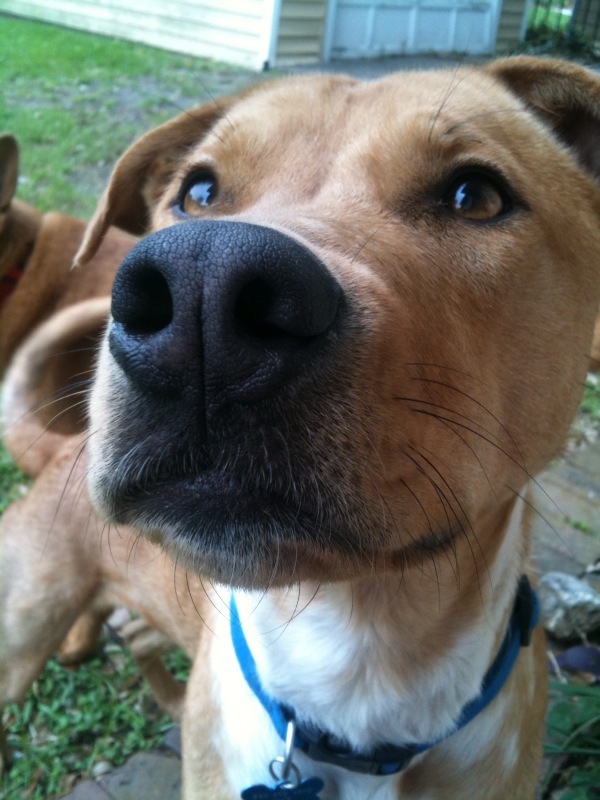 The world communicates with a dog through her nose; a nose to a dog is what eyes are to a human. 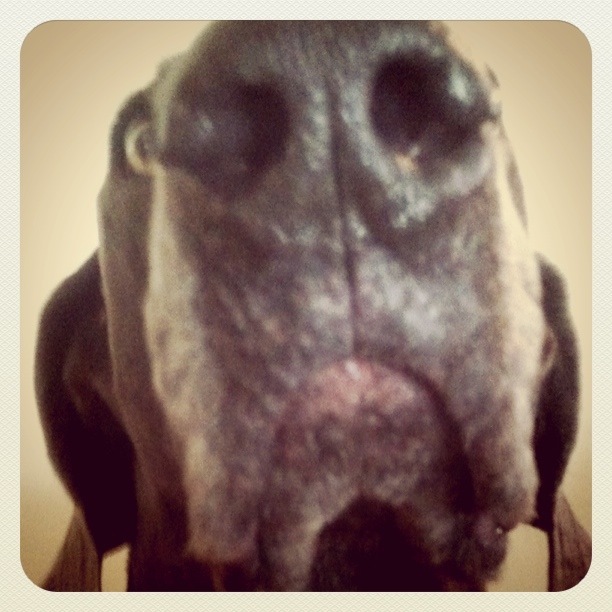 What is a dog’s nose to me? Absolutely adorable! 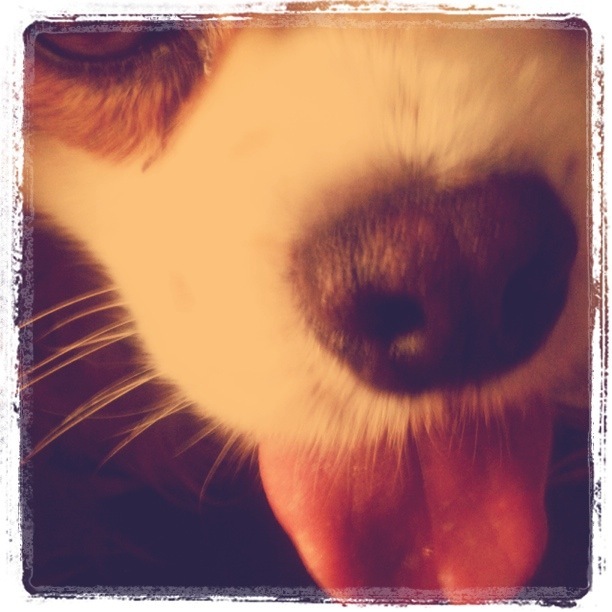 I have always been fascinated with dogs’ noses…and I am not just talking about the cuteness and wetness of them. How the heck does a dog sniff out a bomb? Or drugs deeply embedded in a car? I can remember being at Girl Scout camp and having a man come and give a dog demonstration. He had volunteers from the audience (if only I could have been one!) rub their scent on a toy; then he put that toy with a bunch of identical ones. We watched the dogs sniff them all and quickly retrieve the proper smelling toy time after time. I was intrigued. 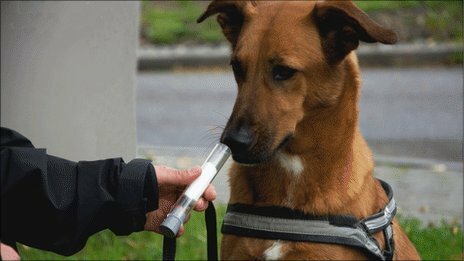 The most recent study (published just last month), conducted at the Schillerhöhe Hospital in Germany, proved that dogs can successfully recognize the scent of lung cancer. The study used two German Shepherds, a Labrador and an Australian Shepherd that sniffed test tubes of collected breath. The dogs identified 71 out of 100 patients infected with lung cancer as well as 93% of the cancer-free samples. Back at the beginning of 2011, research published in the journal Gut (The International Journal of Gastroenterology and Hepatology…yeah, I had to look that one up!) proved that a dog (a Labrador retriever) was able to has sniffed out bowel cancer in breath and stool samples. Way back in June of 2008, an issue of Integrative Cancer Therapies published by SAGE found that “the most common ovarian carcinomas are characterized by a single specific odor detectable by trained dogs.” Other past experiments confirm the accuracy of dogs in using those adorable noses to sniff out breast cancer, colon cancer, melanoma, and even type 1 diabetes. Are you kidding me?!? The craziest part about all of this: the cancers that these dogs are so adept at nosing out are the ones hardest to identify in their early stages. They are also some of the deadliest. This means that the nose of your pup can do something that hundreds of ingenious scientists working for decades with the most sophisticated equipment can not even begin figure out. It also means that dogs are changing the way doctors and scientists are tackling cancer and it’s detection. We humans don’t rely on our noses like our canine friends, so why would we ever think to use smell in a medical context? Doctors are now working on (and this is literally the scientific term) an “electronic dog nose” that will be able to use breath test for early cancer detection. Amazing. 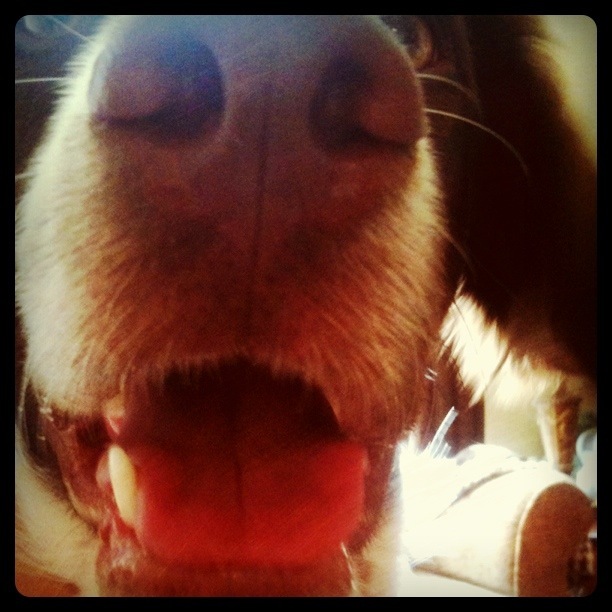 It makes me wonder what scents my dog can smell that go completely undetected by my sorry excuse for a nose. Every day, after hours of walking numerous dogs, Buffy sniffs me from the bottom of my shoes to the top of my head. (Sadly, even my husband can smell me at that time!) I find myself wondering what she is smelling as she does her inspection. Just the dogs I’ve walked? Or is it more than that – where those dogs have been, what they have eaten, their owners. It boggles the mind. Lastly, these studies and data have done one more important thing : they have scientifically proven that dogs are awesome!